The use of the term “Property” refers to the campground or accommodation you are booking. All customers and guests are required to comply with all applicable legislation while on lands managed by NSW National Parks and Wildlife Service (NPWS), including the National Parks & Wildlife Act 1974 and the National Parks and Wildlife Regulation 2009. NPWS reserves the right to make amendments to these terms and conditions from time to time. You will be notified if you hold a future booking, which may be affected by these amendments. NPWS reserves the right to alter pricing at any time. Unless notified otherwise, reservation charges and cancellation terms will apply as sold at the time of booking. Use of the Property is for short term holiday stays. Any other proposed use of the Property, such as for an event or commercial purpose, or a proposed transfer of the booking, will require the prior written approval of NPWS. Please contact parks.info@environment.nsw.gov.au for further advice. Check in and check out times must be adhered to. Additional charges may apply for check in or check out, other than the times specified. Unoccupied sites left vacant may only be held for 24 hours. NPWS reserves the right to use vacant sites and no refund will be provided. The cost of your booking does not include fees such as but not limited to, vehicle entry fees and landing fees. Where fees apply, it is your responsibility to ensure you have a valid pass for the duration of your visit. 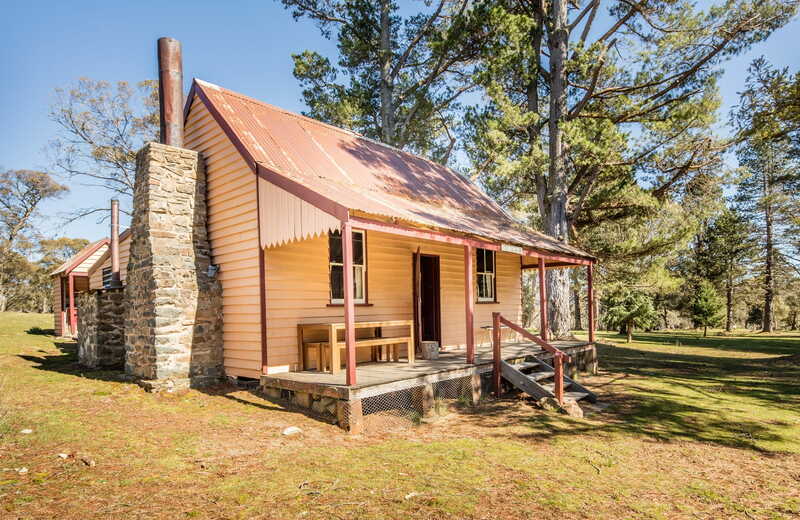 Read more information on passes and fees or call the National Parks Contact Centre or the local NPWS office for the Property you are visiting. If eligible, NPWS discount or concession annual passes must be obtained prior to entering fee-collecting parks. Unforeseen park operational issues and management obligations including but not limited to extreme weather events, fire, natural disasters may mean that the reservation cannot be provided. NPWS will try to find an alternative date that suits you. If the alternative is not acceptable to you, the reservation will be cancelled and a full refund provided, including any booking fee paid. NPWS will not be liable for any other losses you may incur as a result of this cancellation. Behaves unacceptably (including drunken or uncontrolled behaviour, offensive language, malicious or negligent use of facilities, theft or any other form of behaviour deemed inappropriate by NPWS). No refund will be provided in these circumstances. No refunds will be provided outside of the policy due to bad weather. If you have any concerns about whether your chosen Property has been closed, please check for alerts or call the National Parks Contact Centre. The Property must only be occupied by the number of people specified and paid for in the reservation. Limits on the number of reservations accepted at a Property may also be enforced. In accordance with legislation, failure to comply may result in a fine. Additional occupants are subject to availability and Property limits. NPWS reserves the right to turn away occupants not identified in your reservation. No refund will be provided if a lesser number of occupants arrive to those paid for in your reservation. All guests under the age of 18 must be accompanied by a responsible adult such as a parent, step-parent, guardian or other adult who has parental rights and responsibilities for the under 18-year-old guest/s. If a customer or guest is found to be under the age of 18 and is not accompanied by a responsible adult, NPWS may immediately cancel the customer’s reservation and the full reservation amount will be forfeited to NPWS. Pets and domestic animals (other than certified assistance animals) are not allowed in parks. See the pets in parks policy for more information. There are some regional parks that have dog walking areas. Any monies, valuables, goods or vehicles that belong to you which are brought into the Property remain your responsibility. NPWS is not responsible for their safekeeping and will not replace damaged, lost or stolen items. Your personal information will be held and used in accordance with the OEH Privacy Management Plan and Guidelines as amended from time to time. You are responsible and liable for the actions of you and your guests at the Property, for the duration of the reservation. You must ensure you and all your guests comply with these terms and conditions, as well as any additional conditions specified on notices provided. You and your guests may be required to provide photo ID (including proof of age) to confirm your reservation. If you are requested to provide photo ID and you are unable or unwilling to do so, your reservation may be cancelled and no refund provided. NPWS accepts the reasonable use of the Property. We reserve the right to invoice or charge additional fees if the Property is damaged, left in an unreasonable or unsatisfactory condition, and/or Property items are broken or lost. The following terms and conditions apply to any reservation made for or by you on any reservation system operated by the NSW Office of Environment and Heritage (OEH) or NSW National Parks and Wildlife Service (NPWS) (ABN 30841387271). Reservations initiated through a 3rd party source may be subject to varied reservation terms and conditions. Customers can make reservations up to 12 months in advance and for the maximum length of stay permitted at the chosen Property. Customers wishing to make reservations for check in on the same date in 12 months’ time, can do so from 9am via the online system or by calling either the National Parks Contact Centre or the local NPWS office where applicable. The Property fee will be charged in full at the time of reservation. The total fee charged will include an additional non-refundable booking fee. We strongly recommend you and your guests purchase comprehensive travel insurance. You and your guests should be satisfied that your chosen insurance cover fully meets your personal requirements especially in respect of inclement weather, personal injury or illness. Fees incurred due to changes to your reservation will be payable at the time of the change. Where changes result in a reduction of fees (excluding those identified as a result of a special offer), a percentage refund may be provided subject to the following cancellation policy terms and timeframes. A 75% refund (with the exception of the booking fee) will be made if you cancel any part of the reservation 31 days or more prior to the first day of the reservation. A 50% refund (with the exception of the booking fee) will be made if you cancel any part of the reservation 15 to 30 days prior to the first day of the reservation. No refund will be made if you cancel any part of the reservation less than 14 days prior to the first day of the reservation or any time after. 0 to 14 days prior to the first day of the reservation: no transfer is permitted. Customers must choose a date when transferring the reservation. If an alternate date is not known, the reservation will be cancelled as per the above cancellation terms. Reservations must be transferred in their entirety. Dates cannot be split into multiple reservations. Any unused portion of the original reservation will be forfeited. Reservations cannot be transferred between properties.